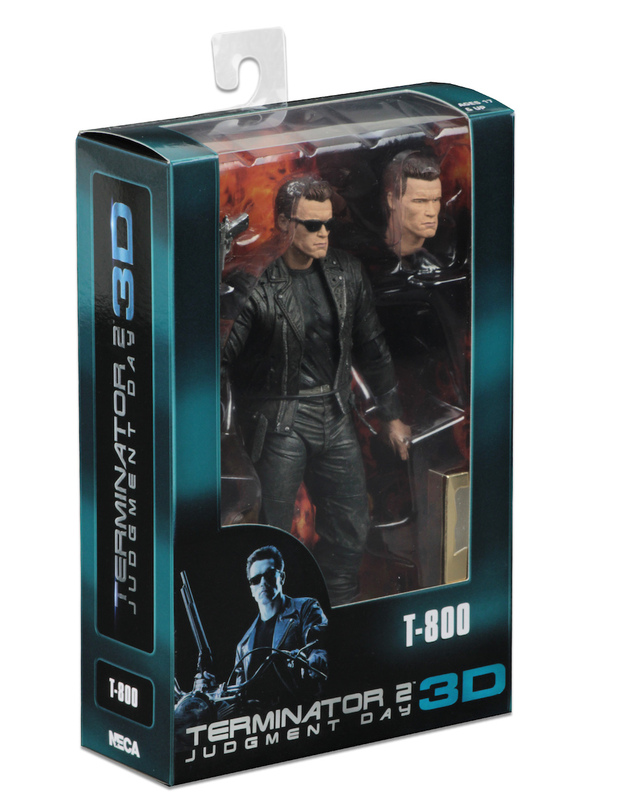 For the first time ever, as part of the film’s 25th anniversary celebration, Terminator 2 is being released in theaters in 3D! 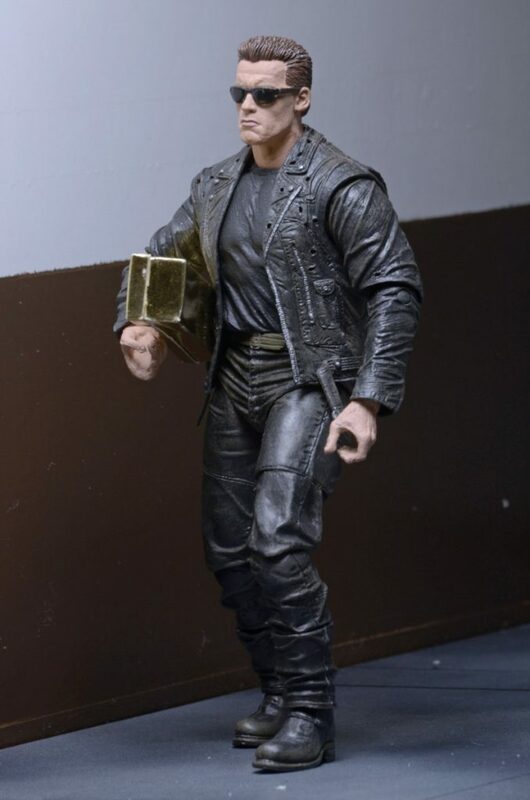 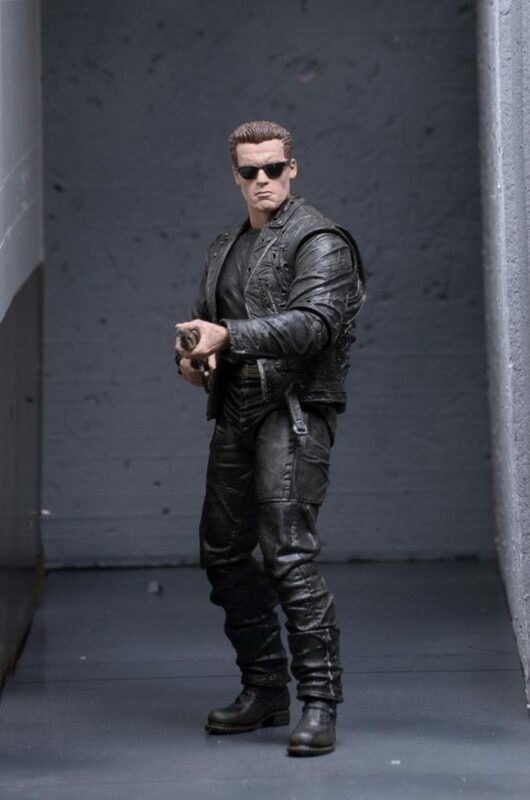 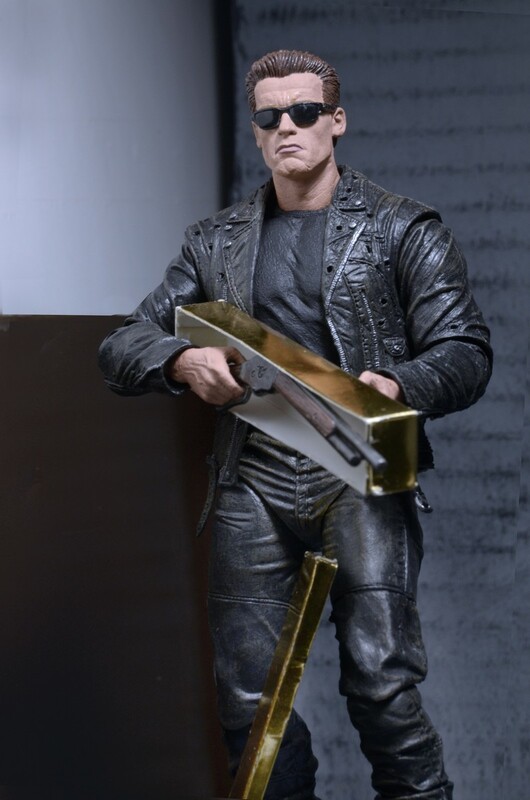 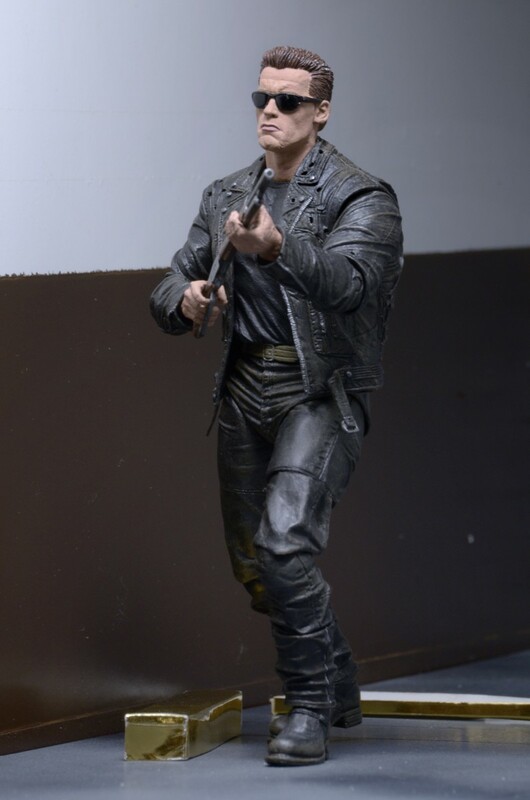 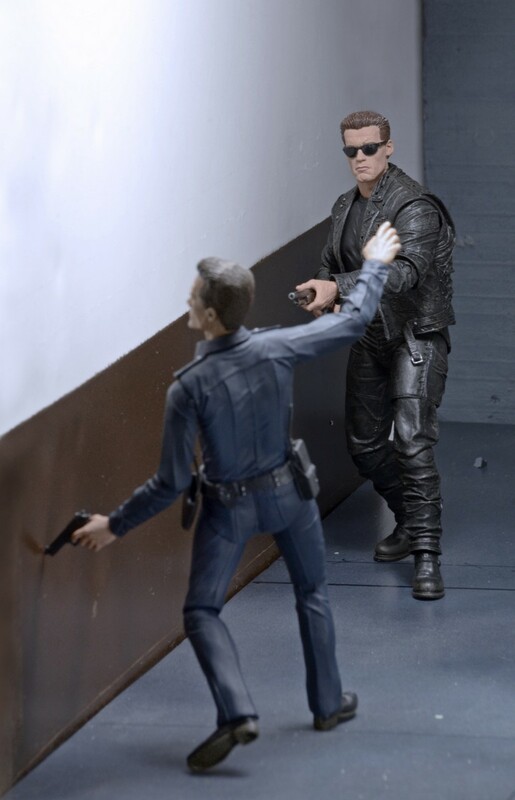 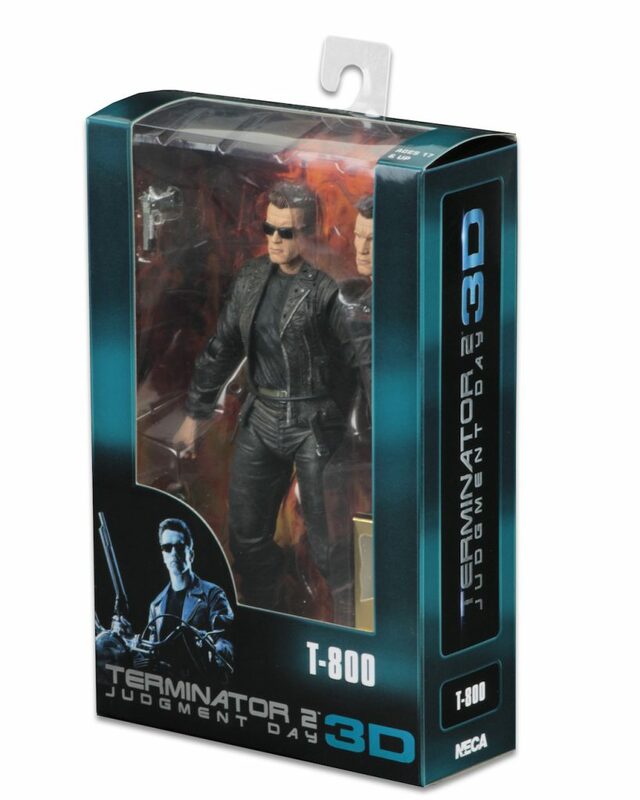 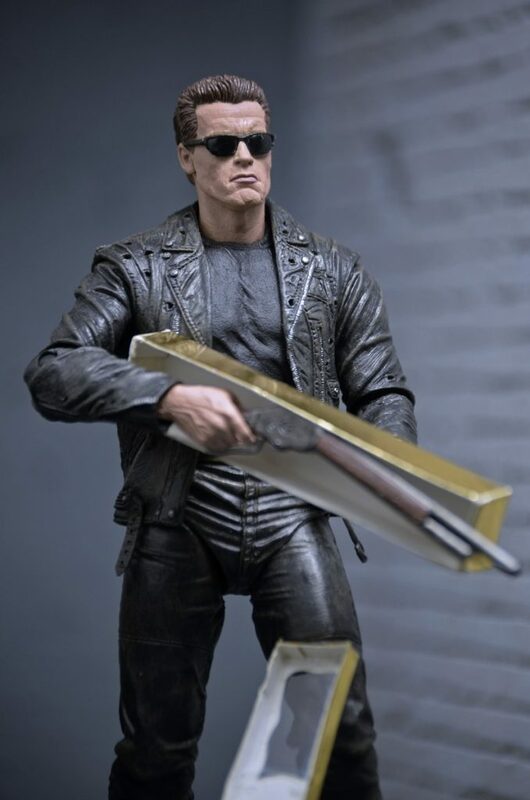 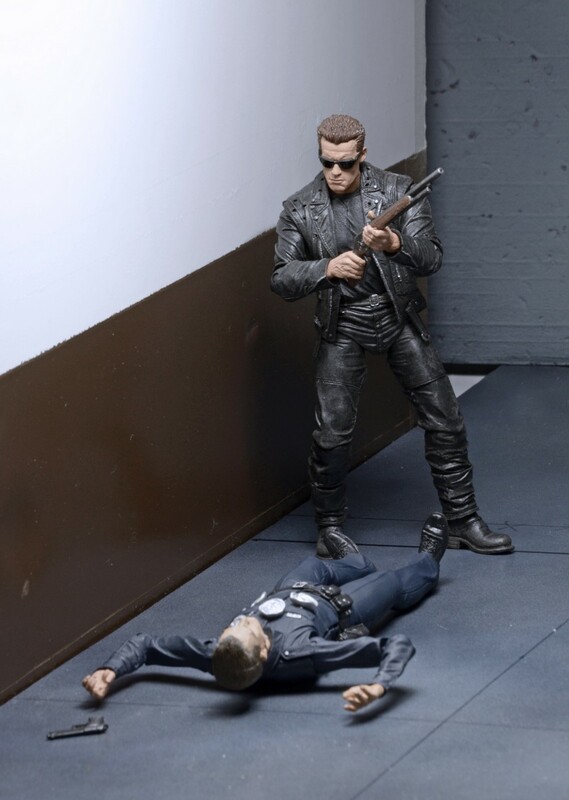 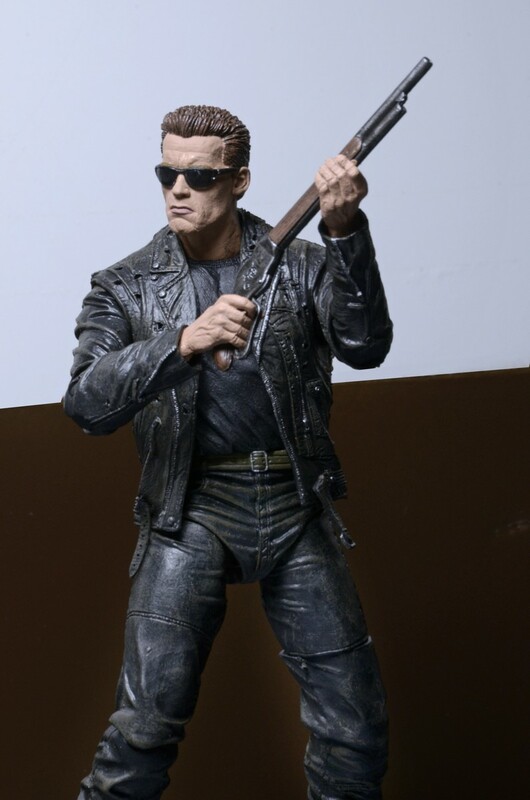 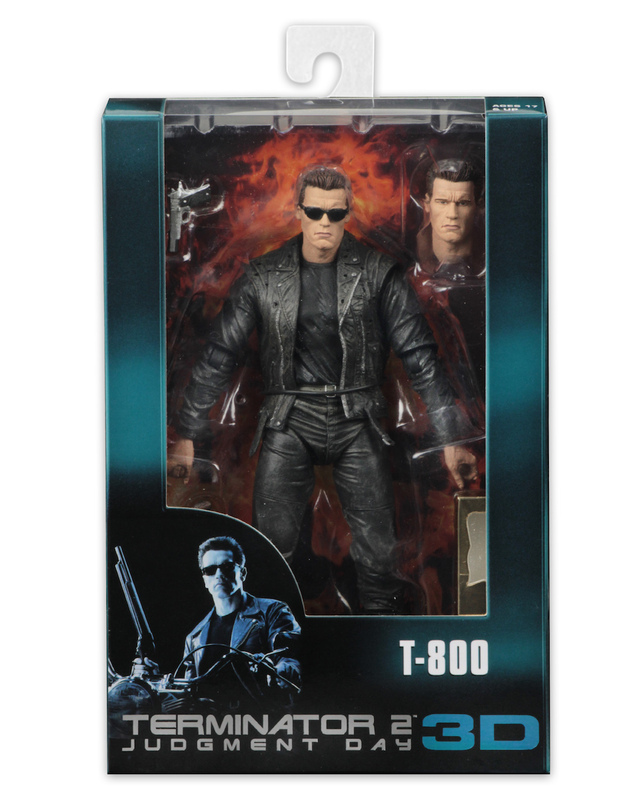 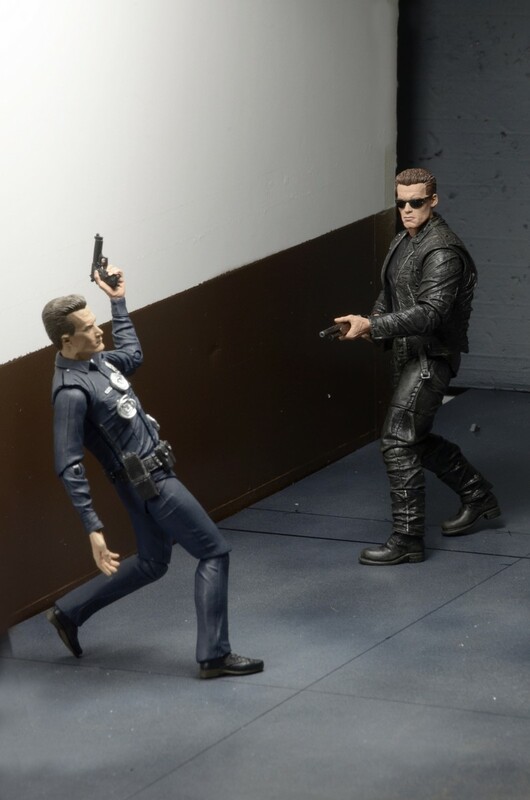 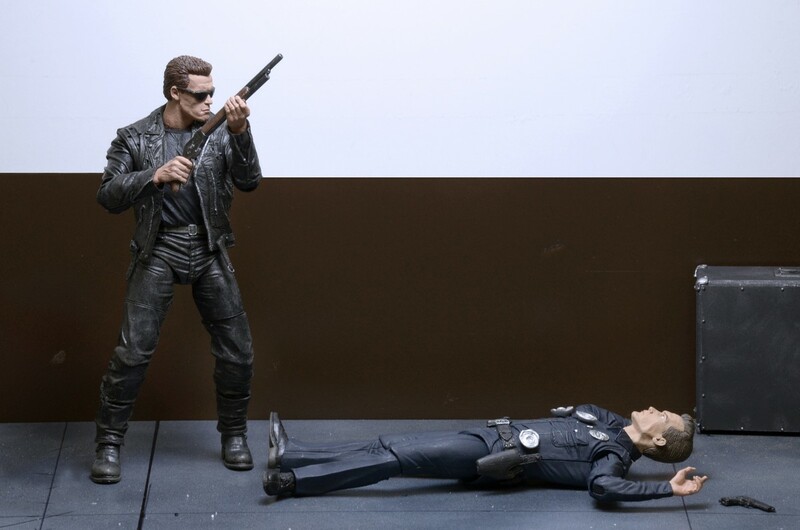 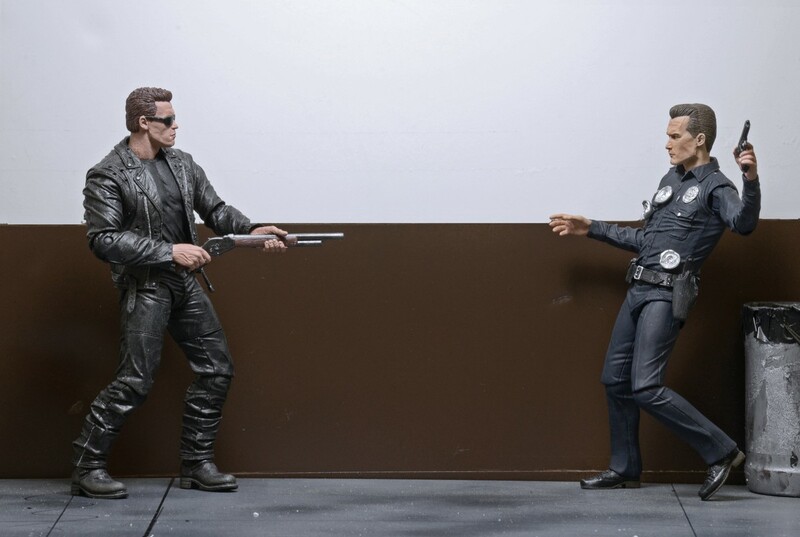 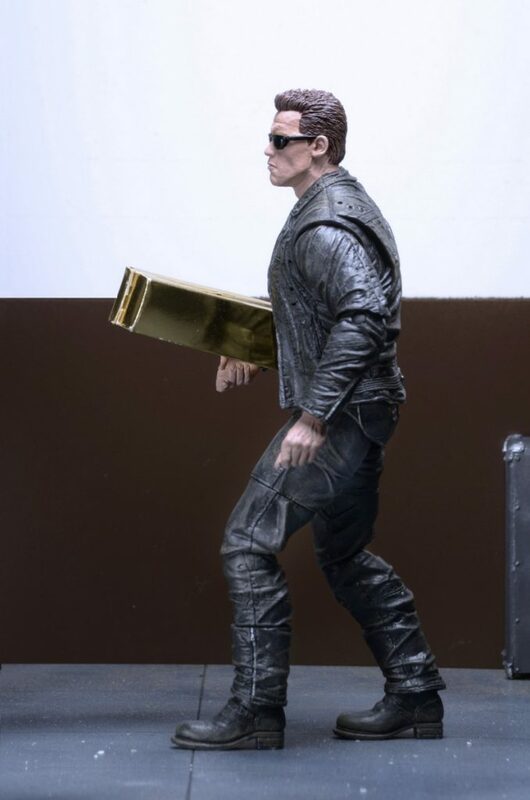 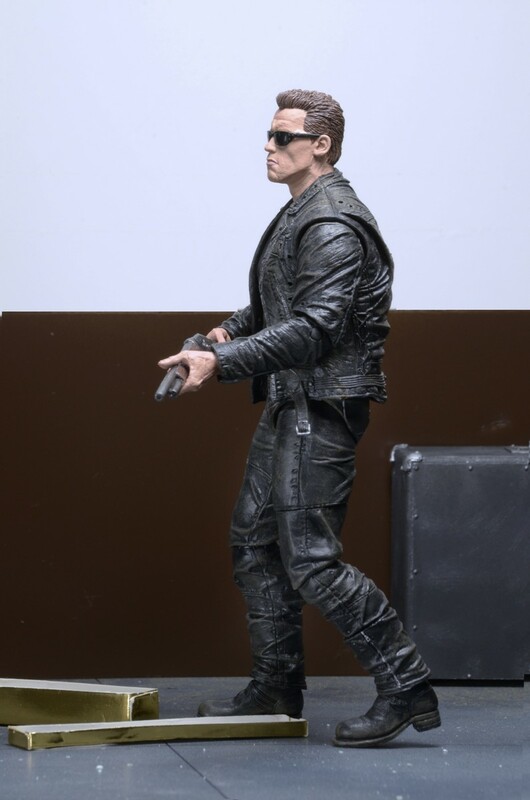 To celebrate the historic occasion, NECA is releasing a Galleria version of the chilling T-800 with accessories that’ll let you reenact one of the film’s most iconic scenes. 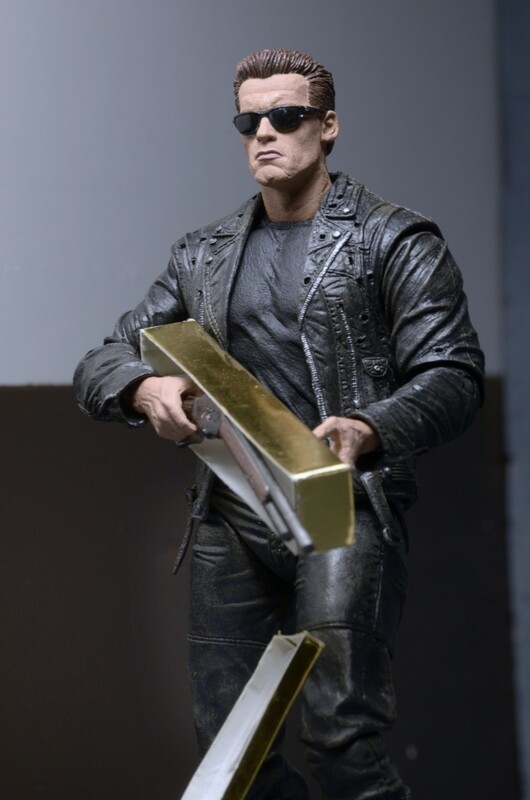 You know the one: the mind-blowing slow-motion sequence at the Galleria Mall when the Terminator whips out a shotgun hidden in a box of roses and saves young John from the T-1000. 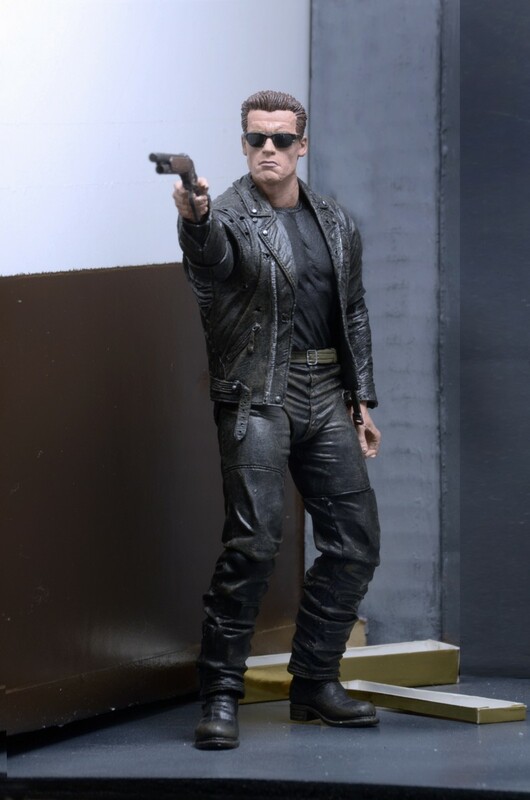 The 7” scale action figure features the likeness of Arnold Schwarzenegger and over 25 points of articulation. 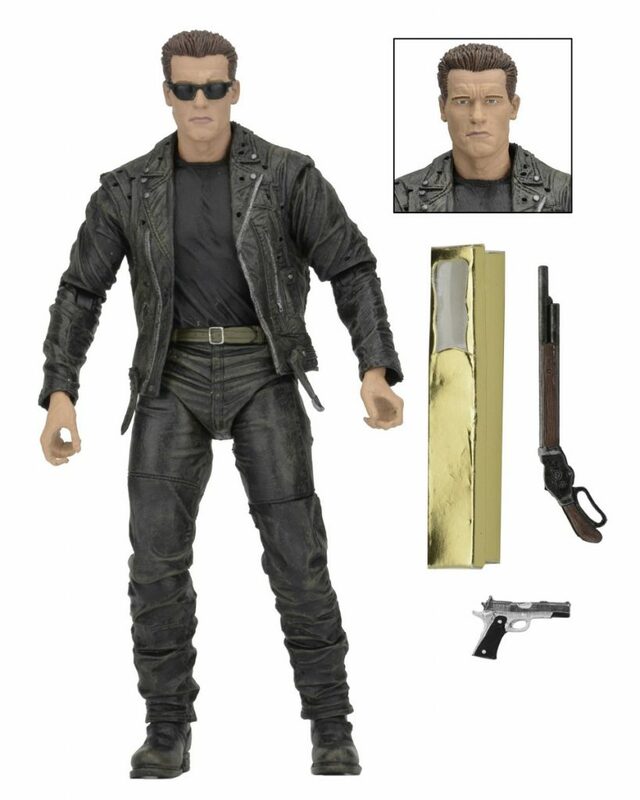 It comes with two interchangeable head sculpts, pistol, and a shotgun that fits inside the included rose box. 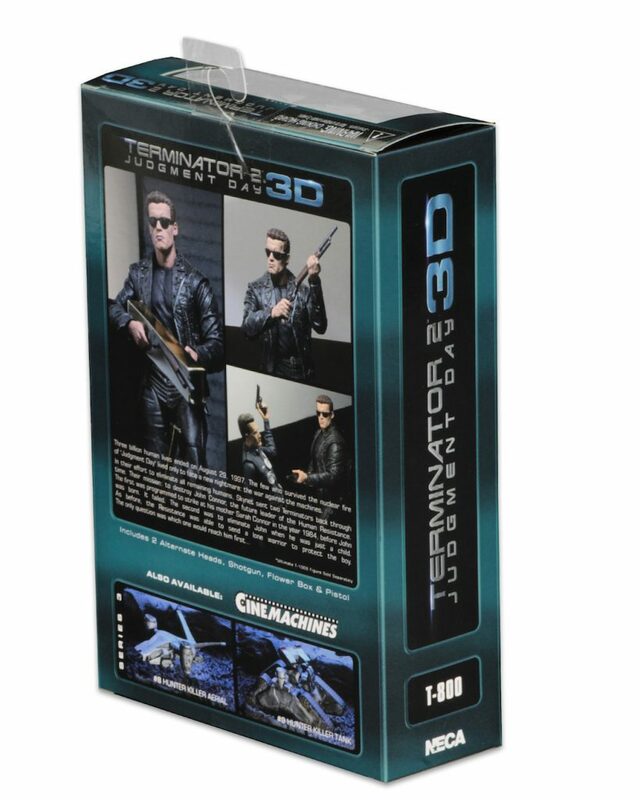 The window box packaging features the new 3D release logo and branding.